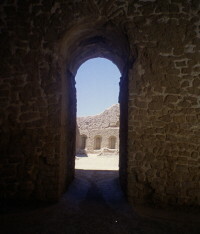 UNESCO - New inscribed properties 2011 on the World Heritage List! So far in 2011 there has been 25 new inscriptions on UNESCOs World Heritage List: Cultural sites: 21, Natural sites: 3, Mixed sites:1, Extensions: 1. Travel Explorations - Our way of using social media! Our reasons for using social media and how to use it. It means a lot for both our target groups: adventure travellers and business partners as tour operators. Our webconcept Travel Explorations is now strengthen with establishing sites on social medias like Facebook, LinkedIn, Twitter, SlideShare and Google Blogger. We in Travel Explorations wants to be where people are! Our goal is to achieve a closer and a more interactive dialog with genuine adventure travellers around the world. Voyages of a lifetime - The Nile, The Northwest Passage, and Norway`s fjords - Selected by Lonely Planet! The Nile, The Northwest Passage, and Norway`s fjords are on top of Lonely Planet`s list when it comes what the travel guide call the romance of long ocean and river voyages. Lonely Planet has also ranked other ocean and river voyages among the most iconic and memorable travel experiences on or off water. UNWTO World Tourism - International Tourism: First results of 2011 confirm consolidation of growth! International tourist arrivals grew by close to 5% during the first months of 2011, consolidating the 7% rebound registered in 2010. According to the April Interim Update of the UNWTO World Tourism Barometer, growth was positive in all world (sub)regions during January and February 2011, with the exception of the Middle East and North Africa. South America and South Asia led growth (both at +15%), followed by Subsaharan Africa (+13%) and Central and Eastern Europe (+12%). 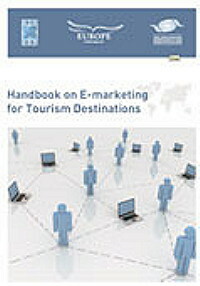 Handbook on E-marketing for Tourism Destinations! 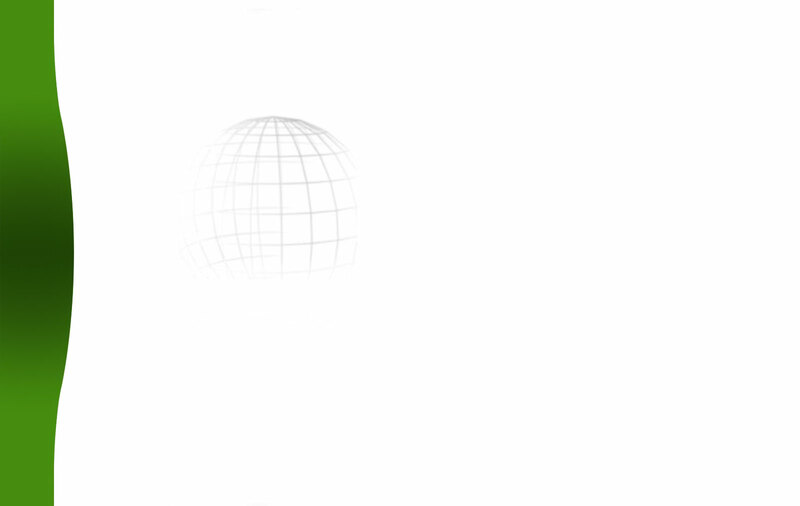 Take your Internet marketing to a new level. This book is published by the UNWTO, United Nations World Tourism Organization, and ETC, European Travel Commission, and is the first complete guide to e-marketing for destinations. How can social media create new business opportunities for the travel industry? Part 2 of 2! 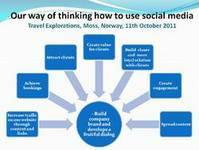 How can tour operators achieve more travellers on their tours by using social media? Many companies use Twitter, Facebook and LinkedIn to promote their offers. Also YouTube is popular, where it`s possible inspire travellers and promote offers through video clips. Sometimes companies go too far with spamming and over-promotion. The big challenge is to use the new media in an intelligent way that creates new business opportunities, not scaring away customers. How can social media create new business opportunities for the travel industry? Part 1 of 2! Social media are communities on Internet as Facebook, Twitter and LinkedIn. Some tour operators, travel agents and tourist organisations have engaged in social media with great success. They have realised that new media has completely transformed the way their potential customers find travel information and offers. Also the way they communicate. So how can social media create new business opportunities for tour operators, travel agents and tourist organisations? 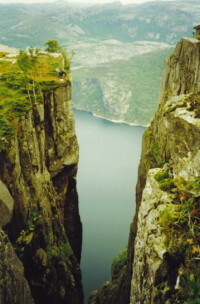 Travel Explorations officially launched in social medias 3rd May 2011 - Join us in adventure travelling! 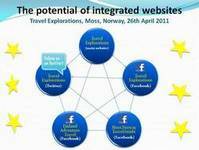 Our webconcept Travel Explorations is now strengthen with establishing sites on social medias like Facebook and Twitter. We in Travel Explorations wants to be where people are! Our goal is to achieve a closer and a more interactive dialog with genuine adventure travellers around the world. Google creates new ways for users to find flight information online more easily! Google announced in a Press Release 1st July 2010 that they have signed a definitive agreement for acquire ITA Software, Inc. for $700 million in cash, subject to adjustments. ITA is a flight information software company, who has developed technology for organising flight information. It makes this information on Internet more available for users through new search tools. Lonely Planet offers free iPhone city guide applications to stranded travellers! In response to the widespread chaos caused by the eruption of Iceland’s Eyjafjallajokull volcano, Lonely Planet is offering 13 of its European iPhone guides free. Everbody Hurts Haiti Charity Single Starring 21 Pop Stars Originally by REM - From JK_Pro On PS3. The all-star fund-raising single for the Haiti earthquake victims has been played on radio for the first time. We Are The World 25 For Haiti 2010 - Official Video - Watch and support! We Are The World 25 for Haiti, WATW Haiti, with Quincy Jones, Lionel Richie and Wyclef Jean. The 25th Anniversary recording features over 80 artists and performers. The recording of We Are The World 25 For Haiti embodied the same enthusiasm, sense of purpose and generosity as the original recording 25 years ago. Be a traveller, not a tourist! Rough Guide`s top five New Year’s resolutions for travellers will jumpstart your most adventurous year yet! Anyone with a ticket can be a tourist, but wouldn’t you rather be a traveller? Travellers embrace the culture, travellers eat the local delicacies, travellers learn the language and travellers get off the beaten path. UNESCO has launced online Atlas of the World’s Languages in Danger! According to UNESCO, is half of the 6,700 languages spoken today are in danger of disappearing before the century ends. The organisation believes it`s a process that can be slowed only if urgent action is taken by governments and speaker communities. By launcing a Atlas of the World`s Languages in Danger on Internet, UNESCO hopes to promote interest for preserving the languages. UNESCO - International Year of Biodiversity 2010! Biodiversity is life, writes UNESCO on its website. The UN has declared 2010 the International Year of Biodiversity, aiming to cut the rate of biodiversity loss. During the Year, UNESCO will lead activities to raise awareness of biodiversity's vital role and catalyze international action for its sustainable use.